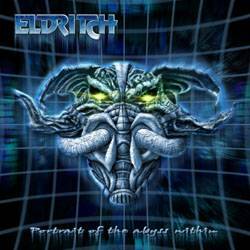 Eldritch are one of the prog metal bands I really enjoyed listening to when I considered myself still a metal-head a couple of years ago, so I decided to have an unprejudiced look at their new album. These Italians have been releasing CDs at least for 10 years now, and this experience is something you notice immediately with the first regular song Forbidden (after an instrumental opener): hard-edged prog metal meets Terrence Holler's melodic voice, merging complexity and melody into something very professional. The next song The World Apart is one of the few more straight-forward songs, probably aimed at the melodic metal faction. This Everlasting Mind Disease shows that Eldritch are not hooked on some old school idea of metal, but that they love to experiment with more modern souding guitar sounds, which sets them apart from 95% of your generic prog metal bands, and brings them close to the two undisputed masters of prog, Dream Theater and Fates Warning. Dice Rolling is another melodic track, but with its very contemporary strange sounds it goes even further than you could have anticipated. Slow Motion "K" Us, by far the most aggressive and fast song on the album, might startle you, but proves again that Portrait Of The Abyss Within is one of the most innovative classical prog metal albums released this year. This is not always an easy album to access, with only few songs having instantly memorable melodies, but then what's so bad about music asking some of your attention? The vocals are mostly typical for that genre, and as much as I agree that Mr Holler is a talented vocalist, it's also this high-pitched (technically good, but so conservative) vocal technique which will keep non-metal people away from this otherwise spectacular album. Prog metal fans have to have this, while those in search of innovative metal music might want to at least give it a try.